Tom Ferri’s lifelong passion is growing things. He’s a third generation apple grower carrying on a family business first started in the 1930s. 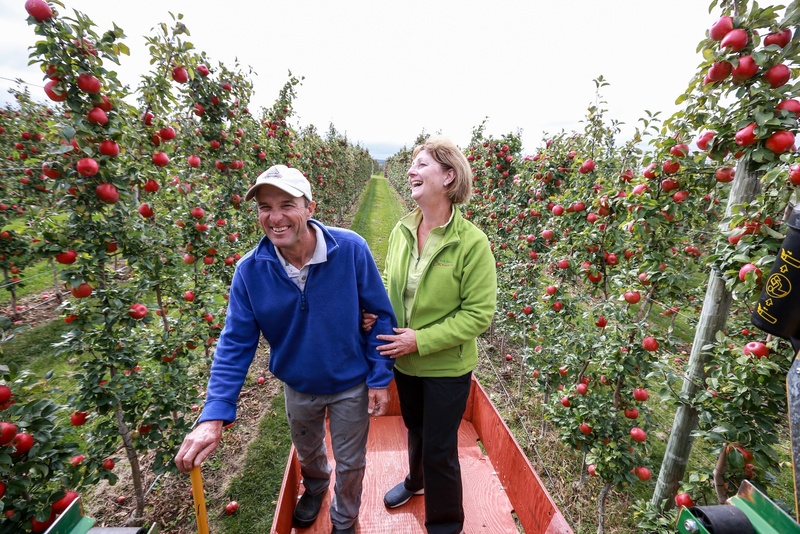 Today his award-winning orchard is in the Georgian Bay area, but the family apple farm was originally just outside of Toronto for many decades; it was development pressure that brought Tom and his wife Karen north in 2005. Innovation is another passion: he’s always on the lookout for new technologies, techniques and ways of doing things. “I’m a hands-on person, I work in the orchard with our staff so I want to make the work as easy as possible and innovation is one way that lets us do that,” Tom explains, adding he also looks to technology to help him protect his apple crop from weather damage. For example, following the devastating early spring frost in 2012 that virtually wiped out the entire crop, he installed a wind machine. Similar to a large fan, it’s used in the spring to keep the air moving in the orchard and pull warmer air down to the trees, preventing temperatures from dropping into the frost danger zone and keeping the blooms from freezing. And, following the example of many grape growers, Tom also uses the machine in the winter to protect his trees against damage when temperatures drop into the -20C range and below. Tom’s interest in innovation is also evident in how he planted his orchard. He uses a system called super spindle – trees are planted at either 18 or 24 inches apart, with a 10 foot alley between tree rows. This lets workers to prune trees and harvest the fruit using self-propelled picking platforms in place of ladders, making tree management safer and more efficient. Honey Crisp is their main apple variety, but the Ferris also grow Ambrosia, Mutsu, Golden Delicious, Gala and a small amount of Cortland and McIntosh. The bulk of the crop goes through the Ontario Food Terminal and ends up a high end local grocery stores in the Greater Toronto Area, like Longo’s and Pusateri’s, but Karen also runs an on-farm market for local sales. It was to promote that business that Karen became active on social media, setting up accounts on Facebook, Instagram and Twitter for the orchard several years ago. And although it takes some time to post regularly and manage the accounts, the networking and the personal interactions make it more than worthwhile, she says. The Ferris are proud of Ontario’s apple industry and the quality and safety of the fruit the province’s growers bring to market – and encourage consumers to keep buying local. 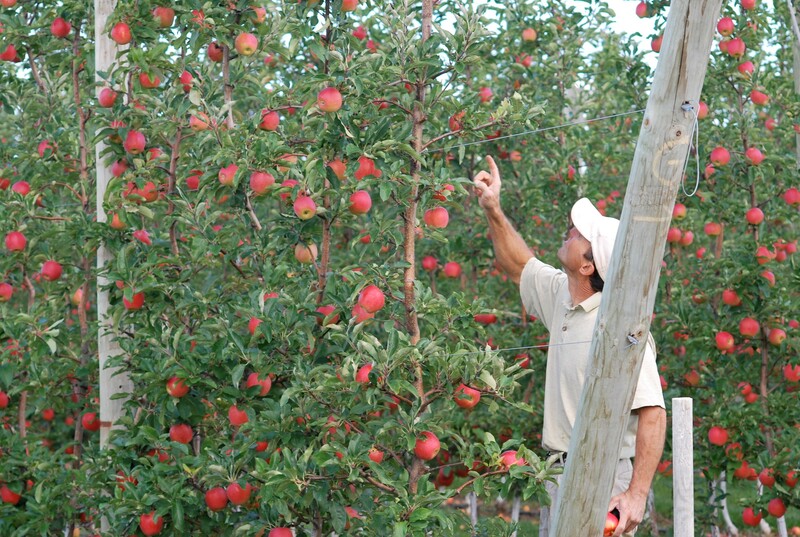 “When people buy Ontario apples, they’re buying the safest quality fruit they can find,” says Tom.